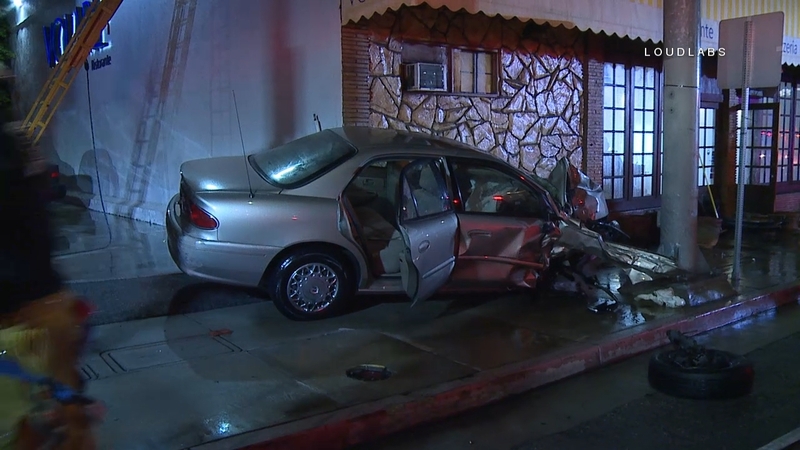 (Loudlabs News) Just after 9pm Thursday night a white sedan with handicap plates was involved in a multi-car collision. 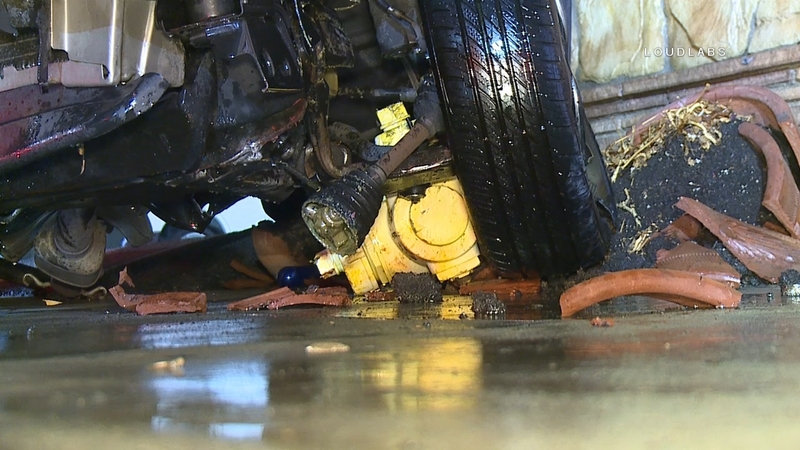 The white sedan knocked over a fire hydrant and slammed into a nearby restaurant. 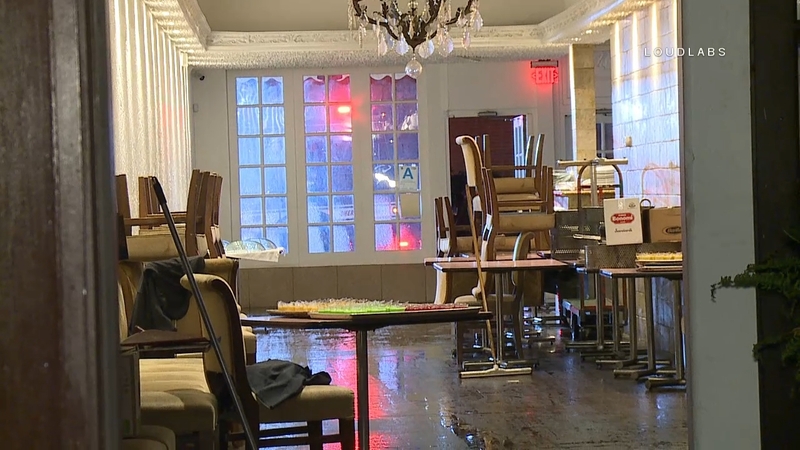 The car itself did not do much damage to the building but the hydrant sent water over the roof of the restaurant and caused a small portion of the roof to collapse under the weight of the water. 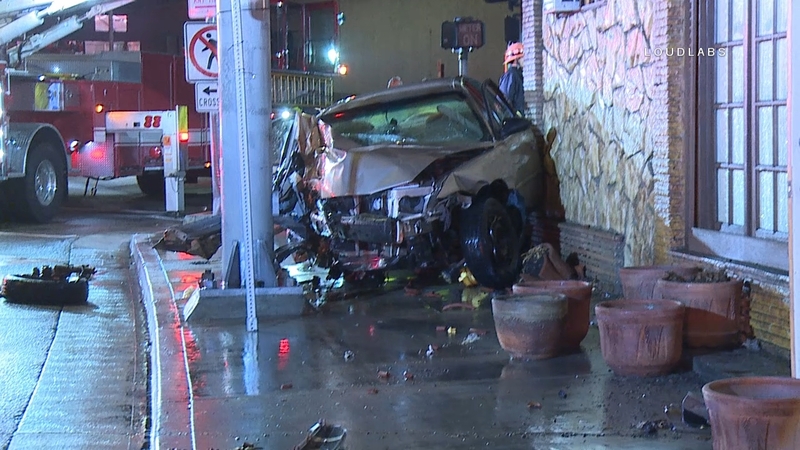 No one inside the restaurant was injured, but a number of people rushed out to help the drivers involved. Cell phone video from the scene showed a torrent of water crashing down onto the building after the crash. At least 2 occupants of the vehicles involved were transported to local hospitals but they are expected to be okay. The restaurant is now closed for clean-up.